Should a person be sentenced to prison for killing a fish? Anglers, enjoying the start of the spring fishing season, would say, "Of course not," but what if the fish is a little boy's friend? In a recent landmark decision, a New York appeals court upheld the cruelty conviction and sentencing of a fish killer to two years in prison. The court decision is worth noting, as it points to a growing awareness of the intelligence of these animals and the importance they have in some people's lives. The incident occurred in 2003 in the New York City apartment that Emelie Martinez shared with her boyfriend Michael Garcia and her three children, Juan, who was then 9-years-old, Crystal, 8, and Emaleeann, 5. She also had two dogs, a cat and three goldfish, Junior, Crystal and Emma, who were named after the children. One morning Martinez awoke to find the 6-foot-5 Garcia standing over her, holding the fish tank. He hurled the tank into the television, shattering both and warning Martinez, "That could have been you." Juan rushed into the room to see what was happening. Garcia asked the boy, "You want to see something awesome?" before stomping on one of the fish, killing her instantly. "My sisters were very upset. They were crying," Juan recently told reporters. Garcia was convicted of assault for punching and choking Martinez, and of felony animal cruelty for killing the fish. His lawyer argued that the cruelty charge should be reduced to a misdemeanor, if not tossed out all together, because the victim was, after all, just a fish. The court disagreed. It recognized what children all over the country, and some adults, already know: Sometimes fish are friends, not food. Ask Dr. Dean Pomerleau and his 9-year-old son, Kyle, who taught their pet fish to swim through hoops and push fish-sized soccer balls into nets. Dr. Pomerleau and his son got the idea after Kyle won two goldfish at a school fair. "After watching them for a couple weeks, we came to suspect that there was more going on in their little brains than most people give them credit for," the Pomerleaus write on their Web site, www.fish-school.com. Recent studies show that fish have long-term memories, "talk" to one another underwater, form complex social relationships, use tools, learn by watching what other fish do and experience fear when being chased and pain when impaled on hooks. Dr. Phil Gee, a psychologist at the University of Plymouth in the U.K., says that fish can even tell what time of day it is, and he trained fish to collect food by pressing a lever at specific times. Other countries are using this information to encourage citizens to extend the same considerations to fish that they do to dogs and cats - and to treat them like living beings, not toys or household decorations. If you live in Rome, you may face a hefty fine for keeping goldfish in tiny bowls, where they are doomed to swim in endless circles. 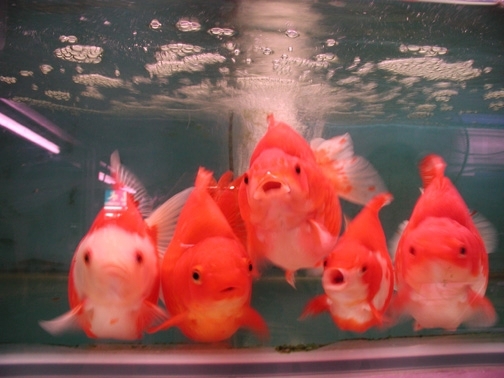 It is illegal to hand out goldfish like trinkets at fairs and carnivals. The city of Monza, Italy, has also banned keeping goldfish in bowls. As one sponsor of the law points out, these cramped containers do not meet fish's needs, and they give fish "a distorted view of reality." Perhaps we humans are the ones with a distorted view. We argue, as Garcia's lawyer did, that fish are not companions like dogs or cats, then decide, as the appeals court did, that they are, then change our minds again and conclude that, well, maybe some are, but others - the fish on our plates, for example - are not. But fish are fish - whether we think of them as friends or as food. If you wouldn't cook your child's goldfish for dinner - or hook your dog in the mouth for "fun," for that matter - then why would you do these things to other thinking, feeling beings? Paula Moore is senior writer for People for the Ethical Treatment of Animals (PETA), 501 Front St., Norfolk, VA 23510; www.helpinganimals.com.